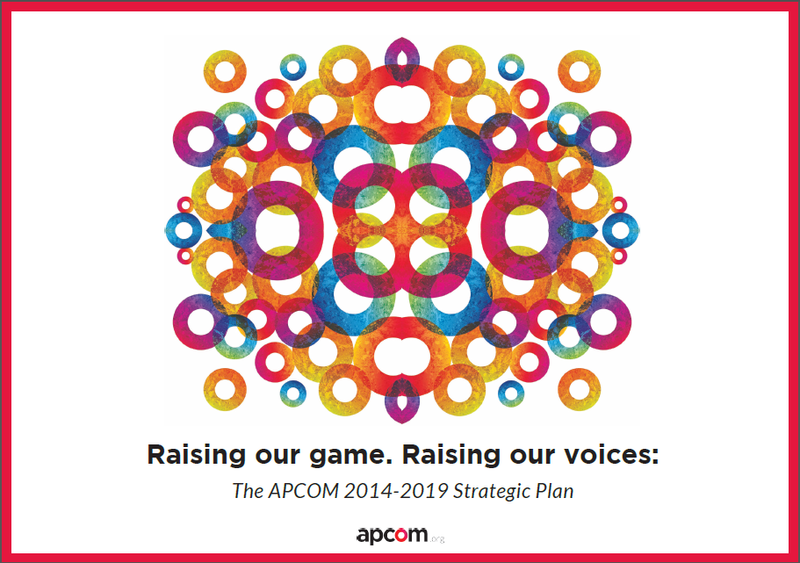 The Asia Pacific Coalition on Male Sexual Health (APCOM) launched its new ‘2014-2019 Strategic Plan: Raising our game. Raising our voices’, to a packed room of donors and development partners, who welcomed and pledged support for APCOM’s vision to build a platform to ensure community advocates for MSM and transgender communities are heard on the global stage. “We are now ready to take advocacy messages from the community level and raise them to you. We are ready to step-up, in terms of what we need to do to tackle the epidemic,” APCOM Executive Director, Midnight Poonkasetwattana addressed the crowd, at an event on November 20th 2013, timed to coincide with the 11th International Congress on AIDS in Asia and the Pacific. The plan outlines four key advocacy strategies, designed to improve access to, and experiences of, male sexual health services. Advocacy for sexual health services for our communities, aimed at engaging health policy makers, programme planned and services to scale up their service delivery. 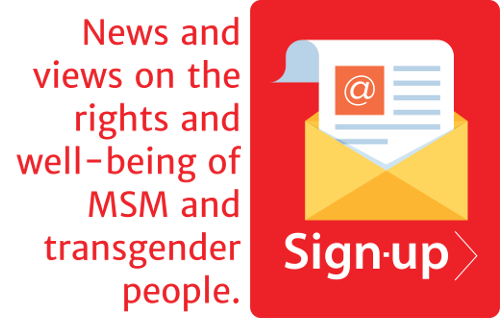 Advocacy for an enabling environment for sexual health and support services aimed at pushing national governments and policy makers to establish MSM and transgender friendly legal environments, to ensure that health services are accessible. Gathering, generating and sharing strategic information for advocacy, to ensure community and development partners have access to relevant information to generate evidence-based work. Building a cadre of advocates at all levels, to ensure there is support for current community advocates and to support the development of new emerging leaders. Hivos International Senior Advisor on HIV/AIDS, Mirjam Musch said at the launch event. Professor of Epidemiology from the Johns Hopkins Bloomberg School of Public Health, Dr Chris Beyrer added his support for APCOM’s community-led approach. Director of the UNAIDS Regional Support Team in Asia and the Pacific, Steve Kraus, lent solidarity to community advocates working across the region, “It’s easy to say thank you for your work, but what I really want to say is thank you for your courage and bravery and your tenacity to not give up. We are proud to be partners with you,” he said. Retired Australian High Court Judge, the Honorable Michael Kirby, welcomed a strategy that could capture the imagination of a future generation of advocates. ‘’So much AIDS material is eye glazing and boring. This is interesting: respectful but firm. The APCOM Strategy has been designed to be read and understood by young people. It is colourful, informative and easy to navigate,” he said. Mandeep Dhaliwal Director: HIV, Health & Development Practice from UNDP further implored donors and development partners in the room to remain at the cutting edge of what the response requires. “That means being creative and investing where the need is greatest. We stand with APCOM in making those messages heard,” she said.